Advances in technology have enabled today’s organizations to streamline and automate core business processes. Even better, these advances have brought with them key benefits such as greater cost savings and improved efficiencies. E&I recognizes the value of best-in-class technologies and platforms, so we offer a growing suite of solutions and services to help procurement and business professionals drive value for their school or university. E&I’s best-in-class partner platforms and services are used by leading schools and universities nationwide. These institutions are looking to source more strategically – maximizing enterprise efficiencies, automating business processes, and driving down costs. E&I is fully committed to driving innovation for our members through leading-edge solutions for procurement optimization, including e-procurement, spend analytics, reverse auctions, and more. E&I offers a choice of solutions for e-procurement, making the benefits of e-procurement accessible and affordable for just about any educational institution. Our quick-to-implement solutions support up to 20 of the most in-demand E&I contracts right out of the box – and can scale to support any number of E&I and non-E&I contracts. By using e-procurement with E&I, it’s easy to drive cost savings from day one. But that’s just the beginning: roll your e-procurement solution out to end-users across campus and watch savings accelerate as adoption grows. 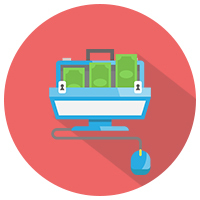 End users will grow to love e-procurement: it centralizes their entire purchasing experience and eliminates the manual inefficiencies and paperwork of the traditional requisitioning process. E&I’s e-procurement solution offerings include ESM, JAGGAER, and Unimarket. About ESM: Developed specifically for higher education, K-12 and nonprofits, ESM is a leading provider of cloud-based spend management solutions to help users to transform their procurement and spend management practices. With our expertise and affordable, flexible software, customers get more out of every dollar they spend on behalf of taxpayers, grantors, and students with full visibility and accountability. For more information, visit www.esmsolutions.com. About JAGGAER: Some of the largest Commercial, Manufacturing and Life Sciences companies in the world trust JAGGAER with billions of dollars of annual spend. Additionally, JAGGAER is the leading procure-to-pay provider in the Higher Education and Government sectors. JAGGAER e-procurement and strategic sourcing customers across the globe have gained access to the best suppliers, with the best terms, on our scalable, customizable, user-friendly platform. The Company’s SaaS-based, source-to-settle solution provides unparalleled visibility, insights and recommendations to procurement leaders and suppliers. The result is a fluid supply chain driven by powerful spend analysis, comprehensive contract management, and efficient accounts payable solutions. For more information, visit www.jaggaer.com. 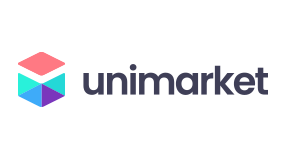 About Unimarket: When it comes to procurement, having end-to-end visibility into the entire sourcing, purchasing, and payable process is key. Unimarket’s comprehensive, cloud-based e-procurement platform has been formulated to meet the needs of higher education, bringing all your procurement into one place. This integrated platform has been built by supply chain and technology experts focused on streamlining and automating the entire process in a single, unified place, making it easier than ever to collaborate, drive savings, and increase efficiencies. Plus, the platform integrates seamlessly with many management systems, user database/SSO systems, and a range of ERPs and financial systems such as Oracle, PeopleSoft, Ellucian, and more. For more information, visit unimarket.com. E&I has partnered with global consulting practice ArcBlue to offer procurement assessment services. ArcBlue works closely with senior leadership at colleges and universities to assess the competencies and operational efficiencies of their people and procurement operations. 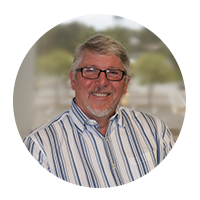 ArcBlue works with you to benchmark and assess your organizational and operational environment, using a combination of methodologies, tools, and techniques to derive your current state and to help you advance you to where you can or ought to be. 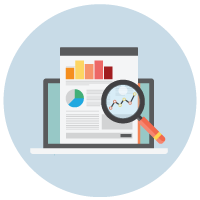 ArcBlue offers two main assessment services, one focused on benchmarking how you operate as an organization, and another focused on benchmarking the skillsets of individual team members. Focused at the organizational level, this service assesses your organization and provides an understanding of your current-state maturity level against a range of best practice procurement dimensions. Focused at the individual level, this service is competency-based and assesses your staff against global benchmarks. This allows you to identify strengths, weaknesses, and knowledge gaps for individuals at any level and in any role. About ArcBlue: ArcBlue is a specialist procurement consultancy and training group operating around the globe. Working with a wide range of public and private sector organizations, the company is passionate about the benefits that strategic procurement can bring. Services range from the delivery of complex sourcing projects, to staff capability development initiatives, and comprehensive organizational procurement assessment and transformation programs. For more information, visit www.arcblue.com.au. Reverse auction bidding technology is an innovative tool that should be in the toolbox of every strategic procurement professional. E&I’s contract portfolio features reverse auction services from Procurex. 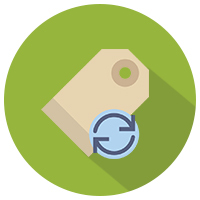 Utilized as part of an integrated sourcing strategy, reverse auctions can help an institution secure best available market pricing for products and services while reducing process costs, time, and complexity. From gas and electricity, to ice melt, generators, coarse paper and beyond, Procurex’s reverse auction service can be tailored to the unique needs and resources of our members to obtain the best market pricing on virtually any range of commodities and services. Reverse auctions are conducted on the highly-acclaimed Procurex platform. Procurex’s proven process is seamless and easy and perfect for the sourcing of any products or services where clear and concise bid specifications can be provided to suppliers. About Procurex: Since 2002, Procurex Inc. has been empowering its clients with powerful, on demand solutions that help streamline their purchasing process, leading to reduced costs and better supplier selection decisions. Through the use of Procurex’s state-of-the art e-sourcing/reverse auction platform, professional purchasing expertise, and bid management services, Procurex has helped their clients save on average 18% on managed spend. Managing both general procurement and deregulated energy purchases, Procurex has conducted more than 3000 sourcing events and managed more than $5 Billion dollars in spend on behalf of their clients. Expertise…Value…Results. For more information, visit www.procurexinc.com. E&I members can avail of a spend analytics solution on the Rosslyn Data Technologies (formerly Rosslyn Analytics) RAPid platform. Using RAPid, Rosslyn can conduct a comprehensive spend analysis across all of your major spend categories. 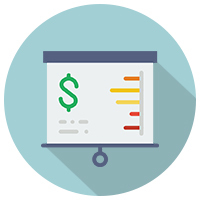 Rosslyn can help analyze your institution’s spend habits, processes, and trends and provide you with detailed and actionable data. The RAPid platform is designed for truly strategic decision-makers who need more than mere visualization. Rosslyn can help extract, aggregate, cleanse, validate and classify your targeted spend data for the purpose of gaining visibility into actionable strategic opportunities around your entire supply chain. About Rosslyn: Rosslyn Data Technologies (AIM: RDT), formerly known as Rosslyn Analytics, is E&I’s go-to partner for spend analytics solutions. As the leading data technology company, Rosslyn helps organizations create new business value faster from previously inaccessible data. Rosslyn offers award-winning self-service tools and solutions designed specifically for business users to easily access and turn complex data into meaningful information via its RAPid Cloud Analytics Platform. No other platform, on premise or in the cloud, is such a game-changer. For more information, visit www.rosslynanalytics.com or @RosslynBI.